The Ministry of Tourism has unveiled a new program called Familiarization Trip — Fam Trip for short — to the media in Malaysia and Singapore. 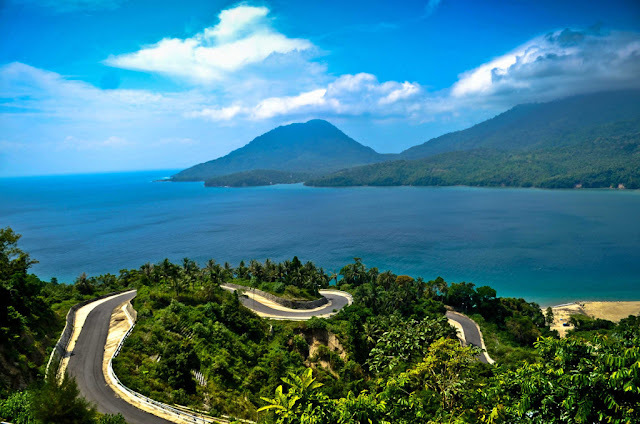 The ministry has invited journalists and diving operators from both countries to Fam Trip diving expeditions from March 29 to April 4 in Sabang — Indonesia's westernmost city in the island of Weh — and Ambon, the capital of Maluku in eastern Indonesia. "Ten journalists and diving operators from Malaysia and two from Singapore will go on the trip," Rizki Handayani Mustafa, a marketing official from the Ministry of Tourism said. "They will be divided into two groups. Four people will dive in Sabang and the rest dive in Ambon," he added. The Singaporean journalists will upload live report on their social media account. "They are socmed-savvy and have a reach to a bigger crowd," she said. Rizki said the ministry is working on crafting diving tours to Aceh and Ambon, whose underwater scenery is still considered some of the best in the world. In Sabang, there are at least 20 diving spots popular to both local and overseas visitors. They include the German ship Sophie Rickmers' wreckage, Batee Dua Gapang, Batee Meuroron, Batee Meudoro, Rubiah Seagarden, Pante Peunateung, Long Angen or Pante Gua, Limbo Gapang, Arus Balee and the Seulako Drift. In Ambon, there are 21 diving spots which stretch from the northern sea of Ambon to Malilana in the eastern side. Just as they do in Sabang, the coral reefs in Ambon also grow naturally, showing a colorful spectrum of marine biota. The favorite spots for tourists are Batu Lompa, Hukurila Cave, Aquila Wreck and Laha. "We've organized this Fam Trip to get the journalists to experience Indonesia's underwater beauty first hand and to relay that experience to their readers," Gde Pitana of the Ministry of Tourism said. Major dive operators invited to the Fam Trip include Aqua Gems, Scuba Guide, Scuba Ace, Extreme Outdoor Adventure, Seamonkey Dive Center, Scuba Symphony and Great Ocean Diver from Malaysia, and Scuba Institute and Boxfish Studio LLP from Singapore. Singapore's UW360 television program is also attending.